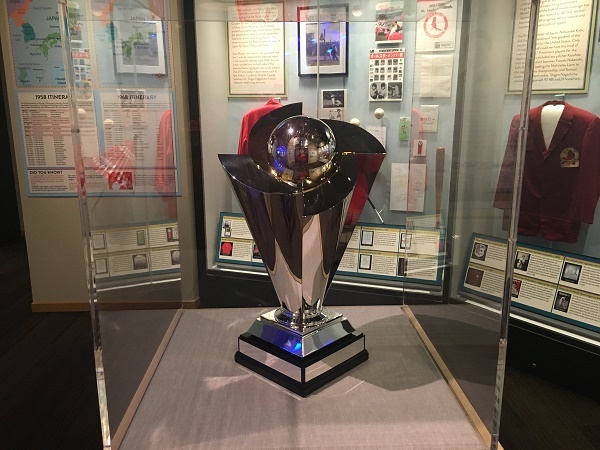 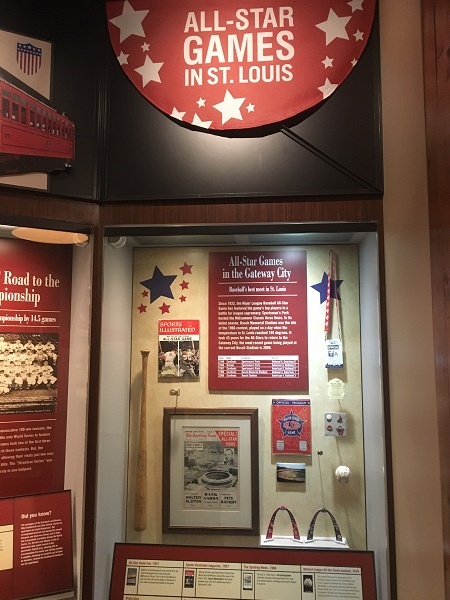 As I discussed last week, I went to St. Louis for a few days, and I spent time at the Budweiser Brewery Experience on one of my days. 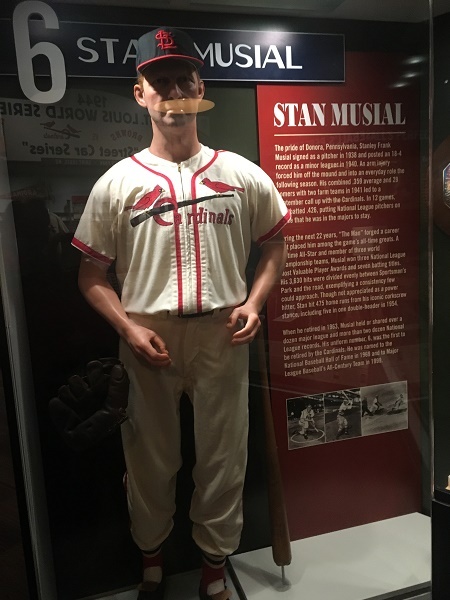 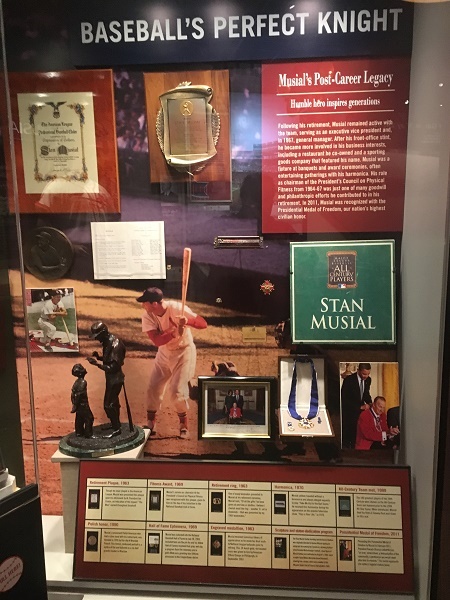 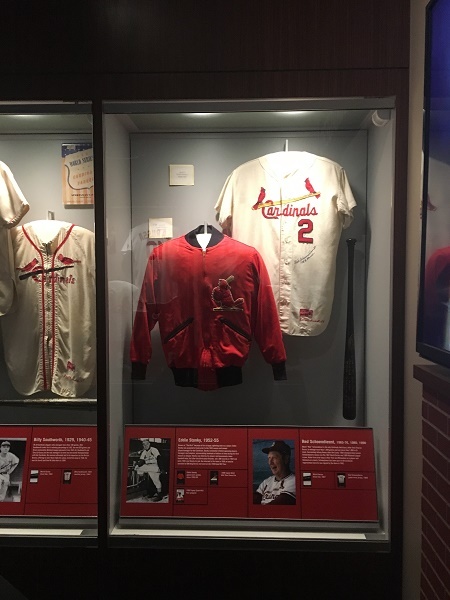 The second attraction I attended was the St. Louis Cardinals Hall of Fame and Musceum. 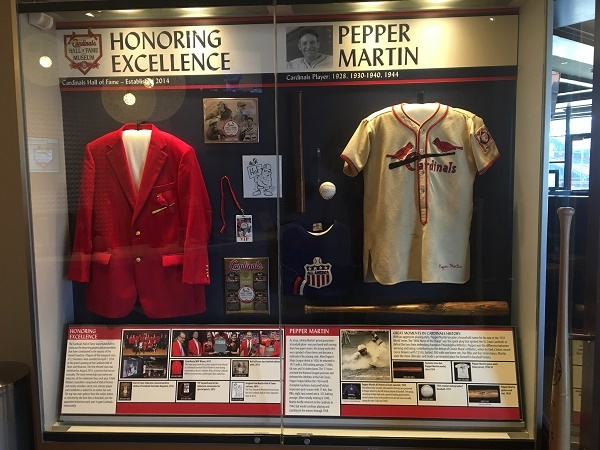 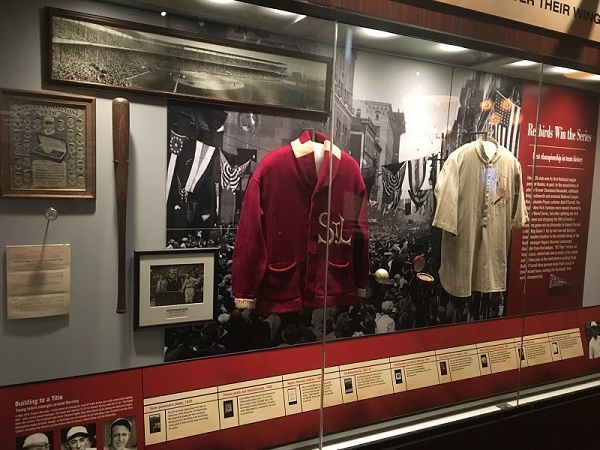 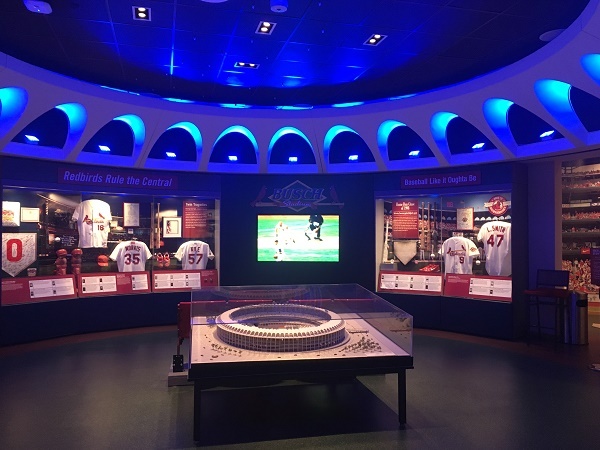 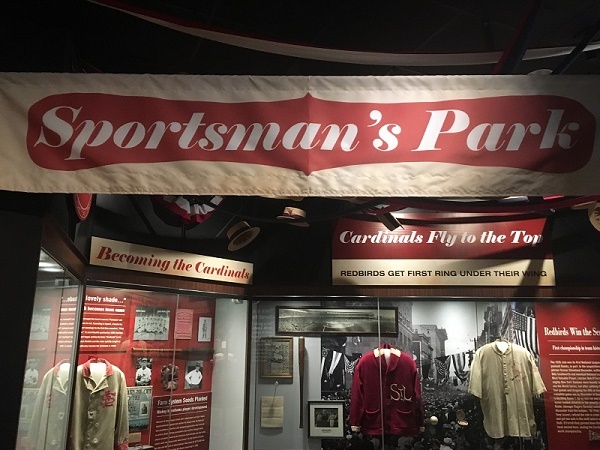 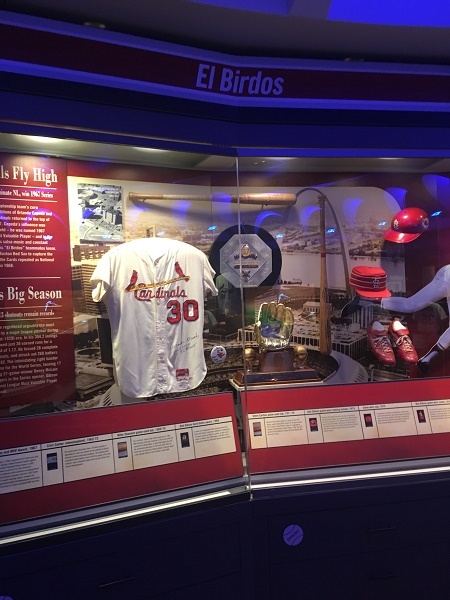 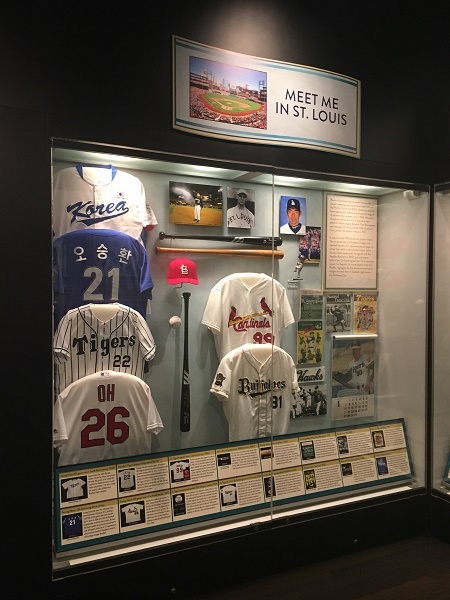 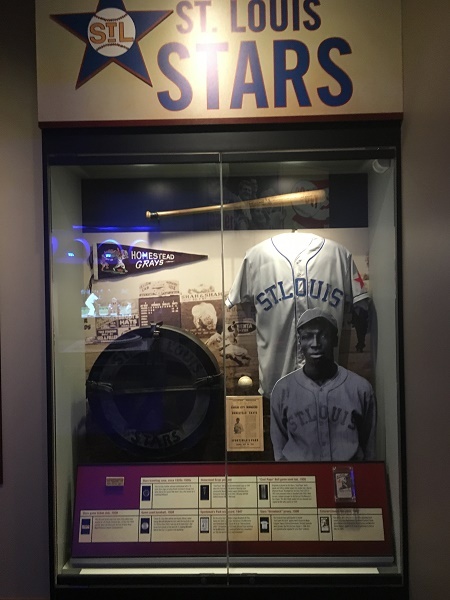 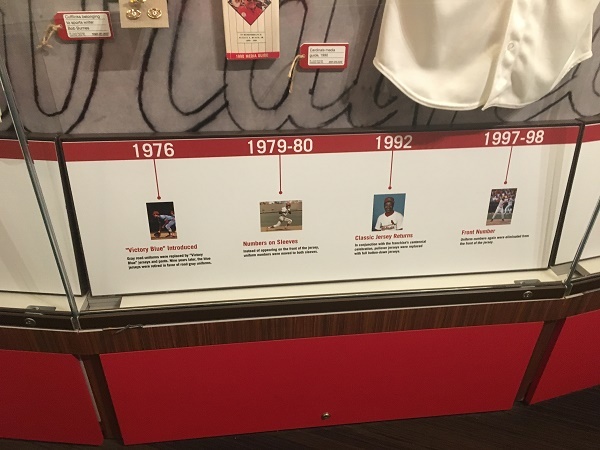 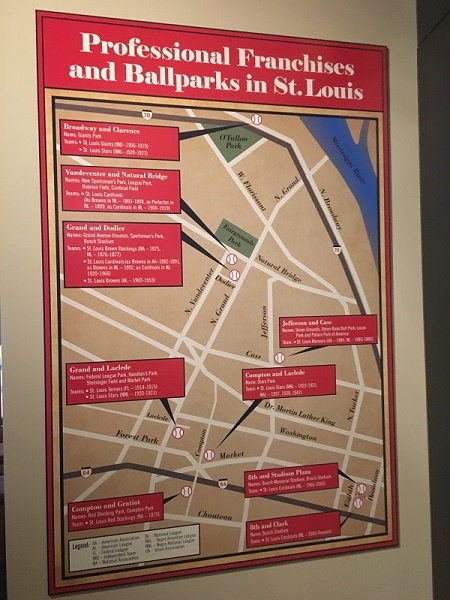 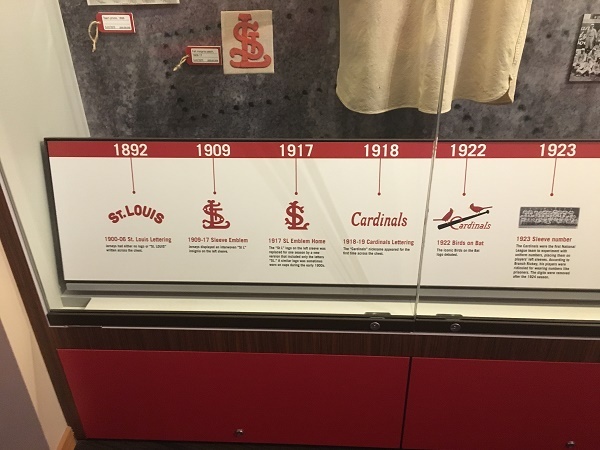 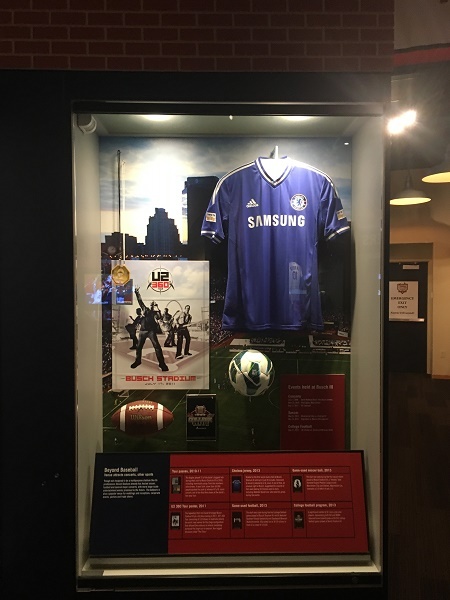 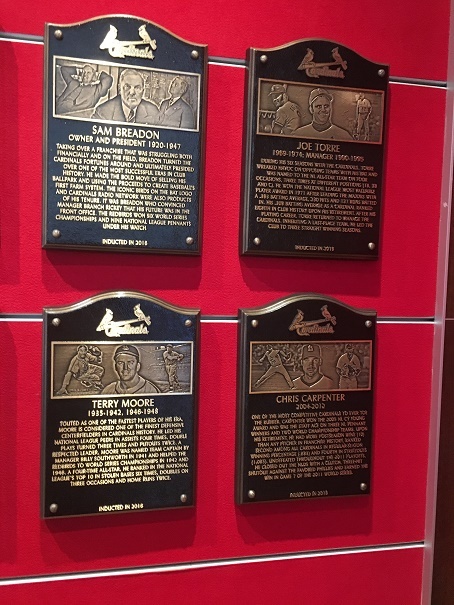 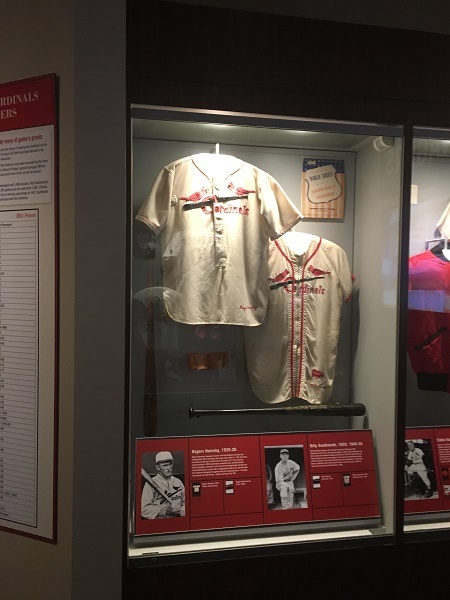 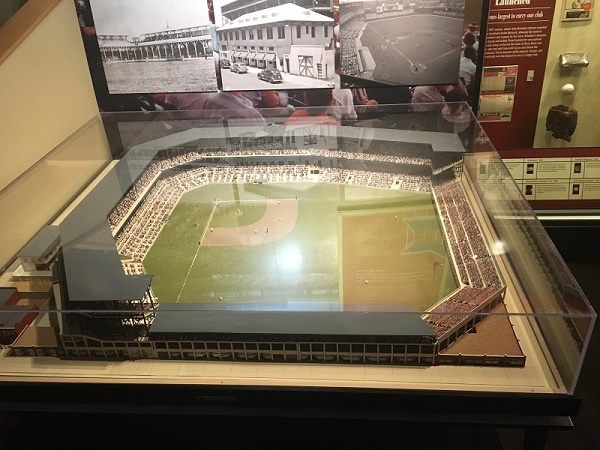 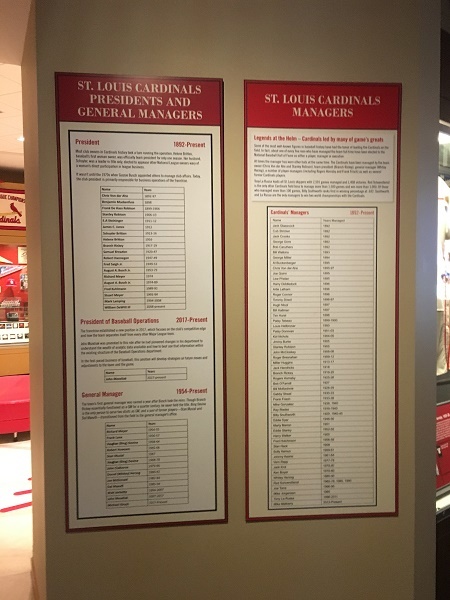 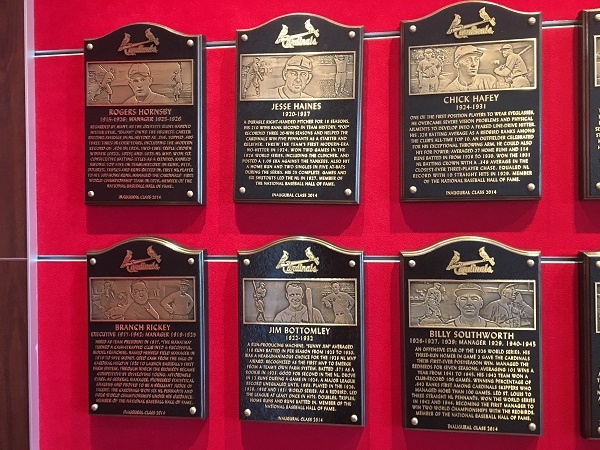 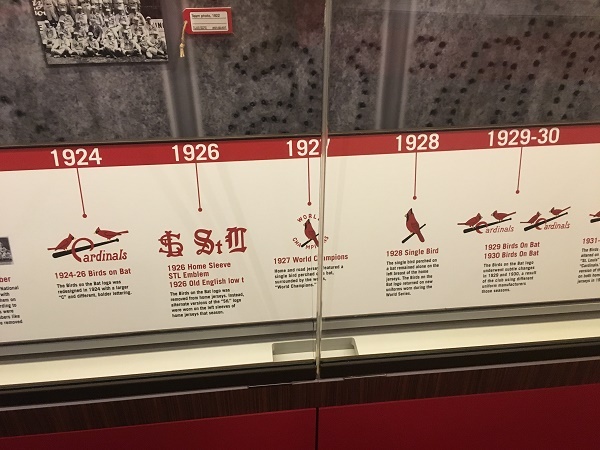 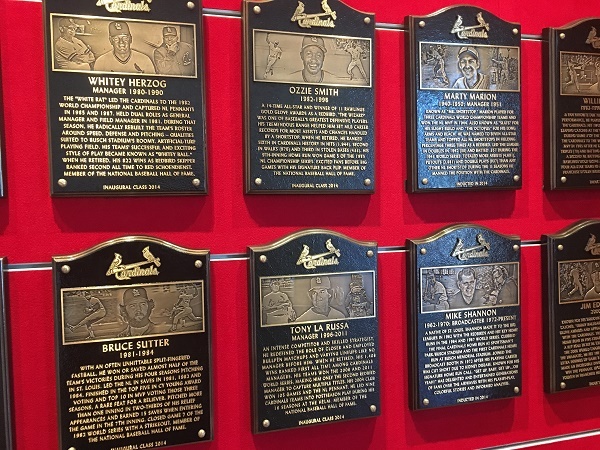 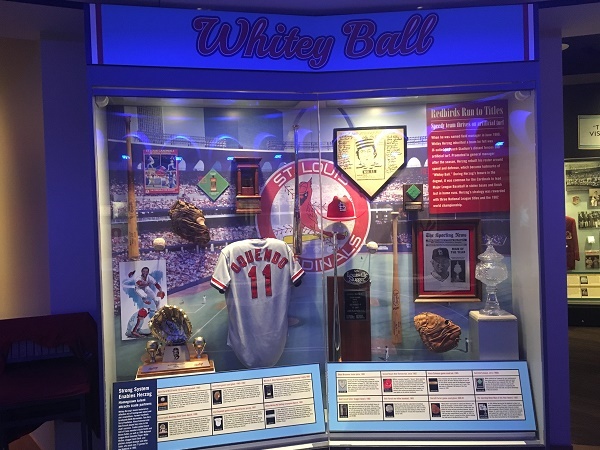 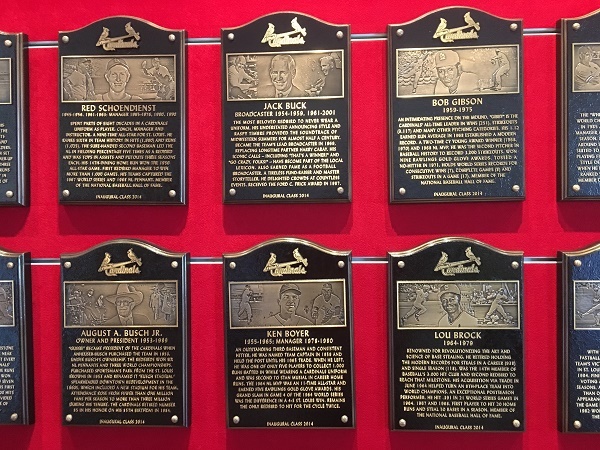 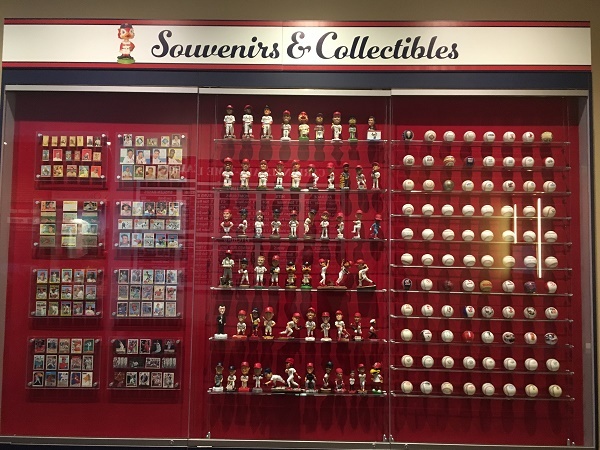 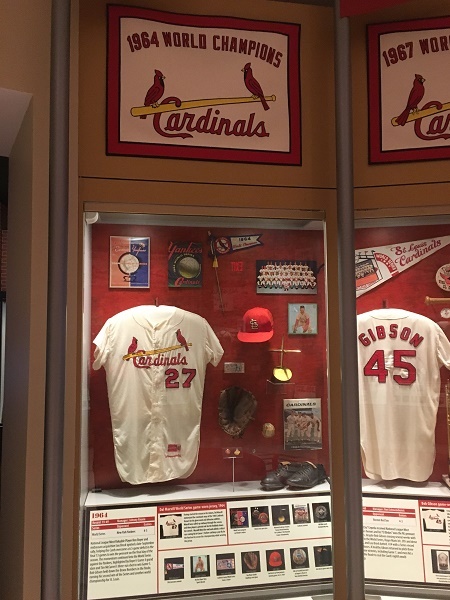 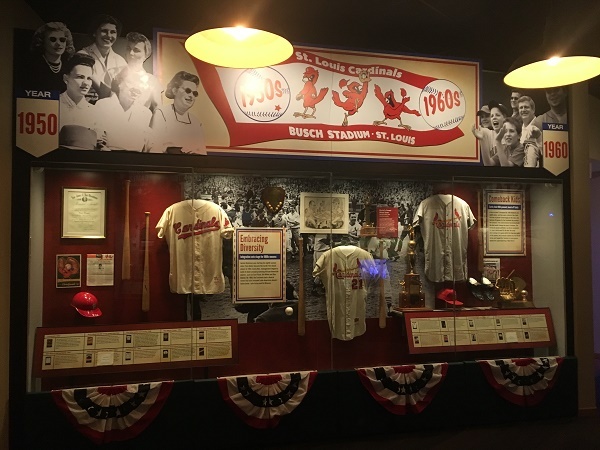 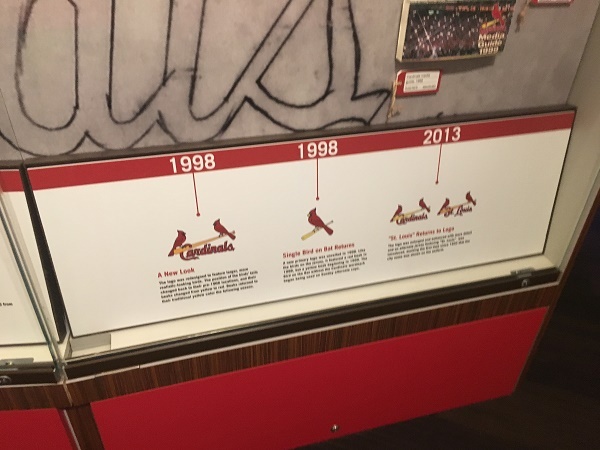 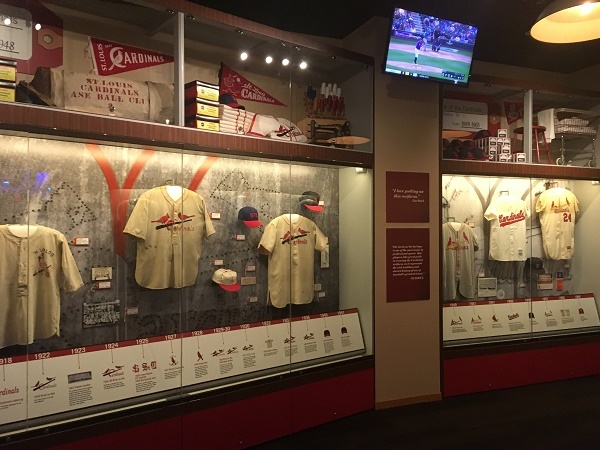 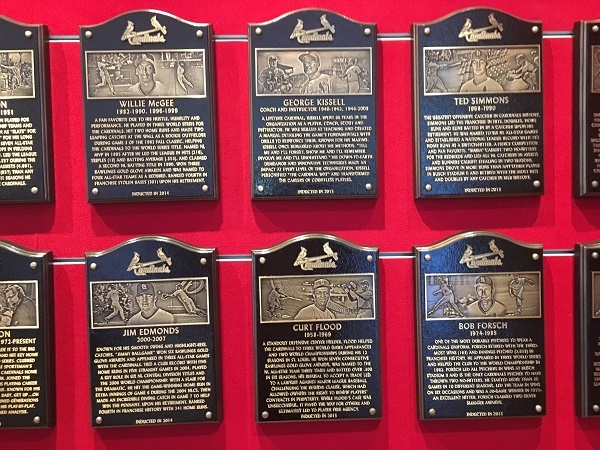 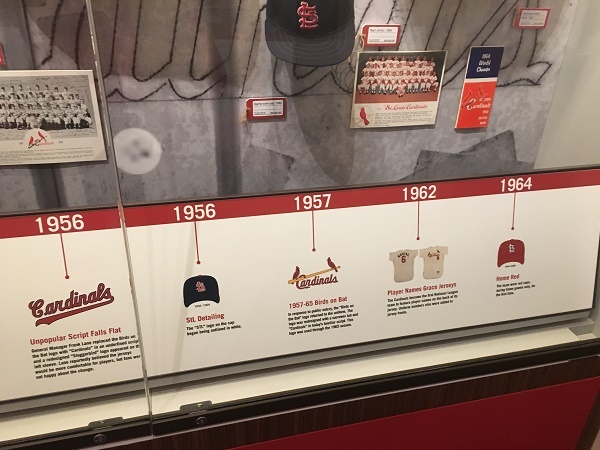 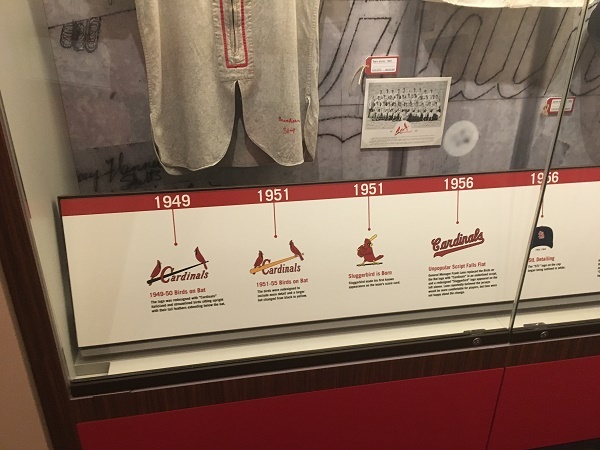 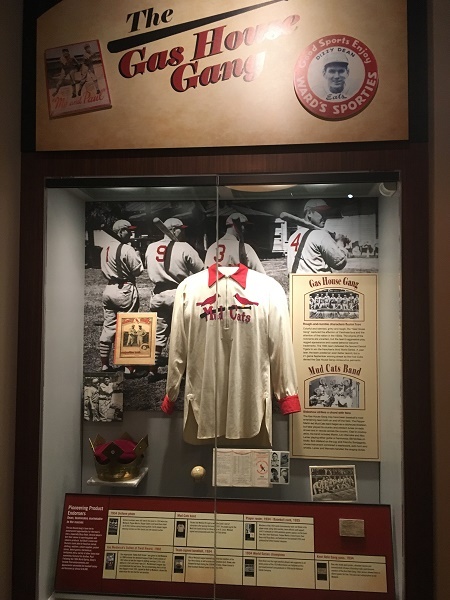 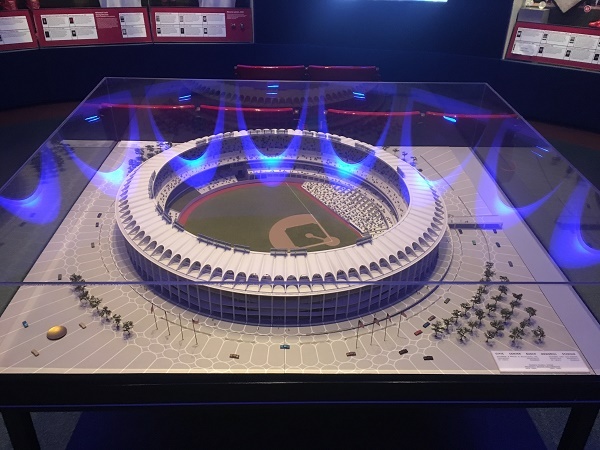 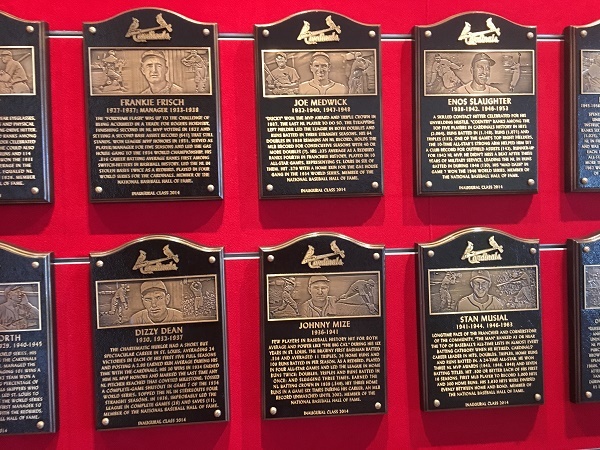 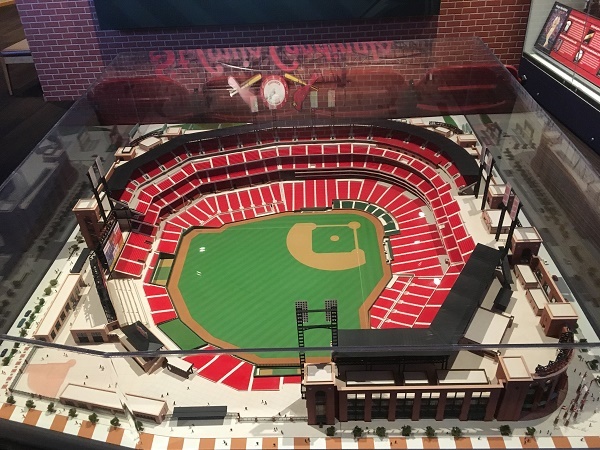 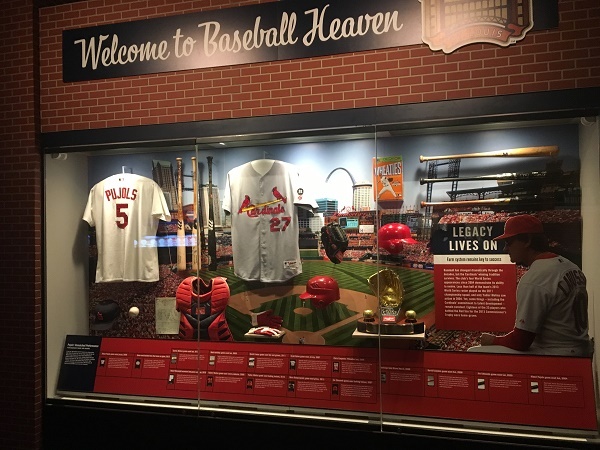 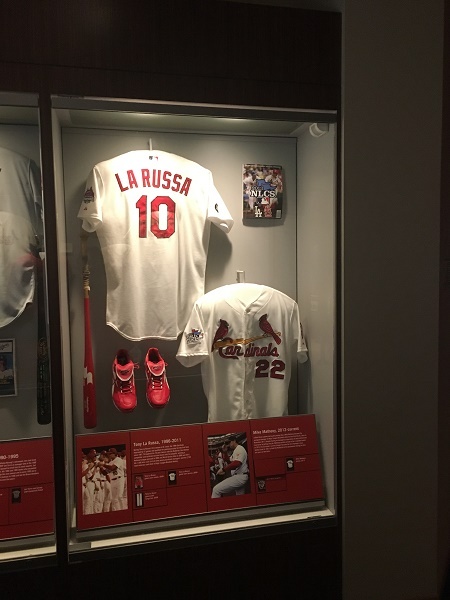 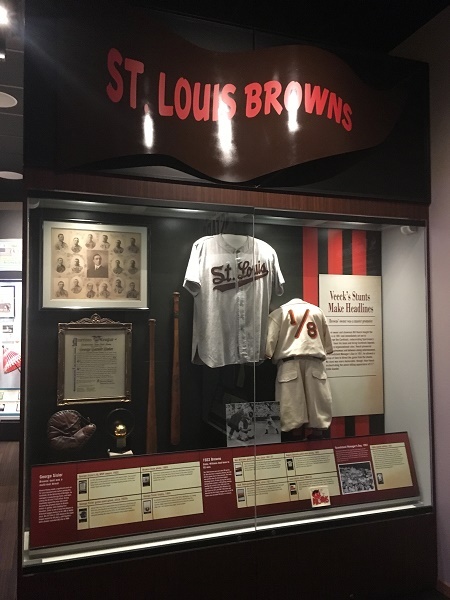 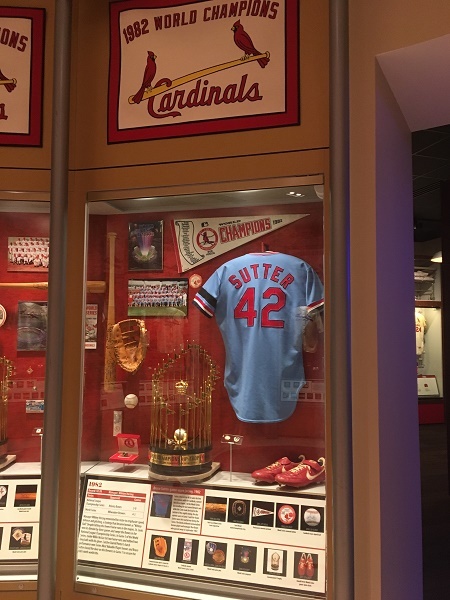 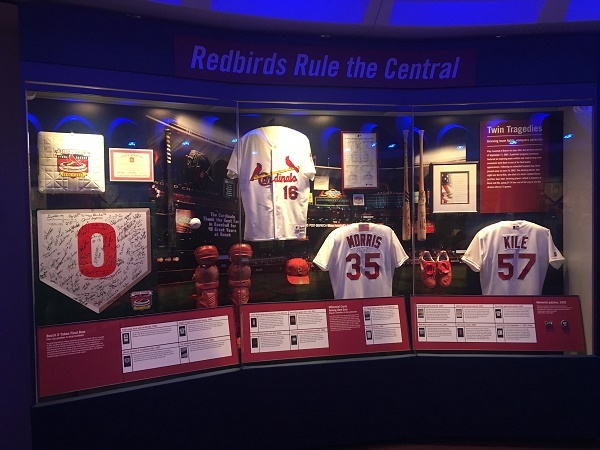 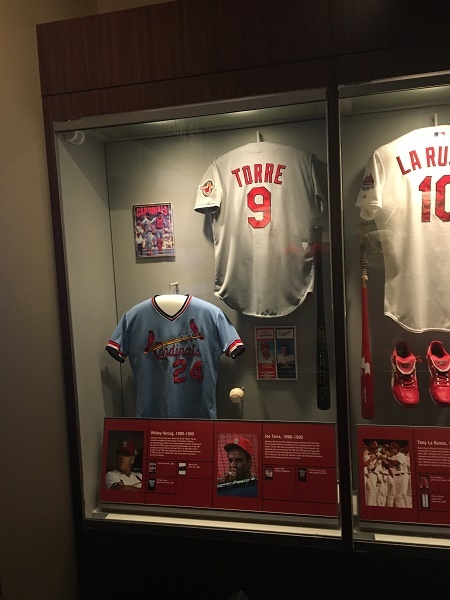 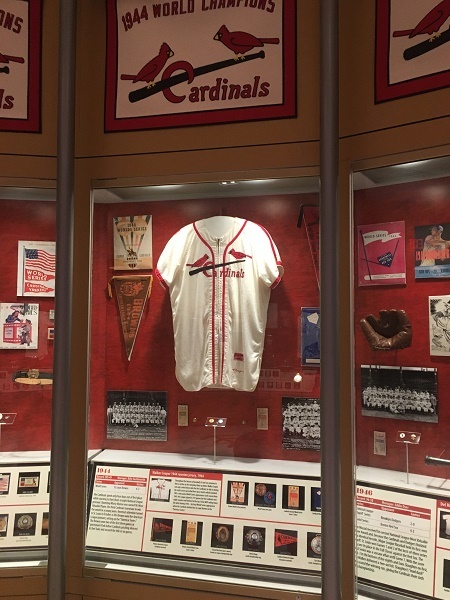 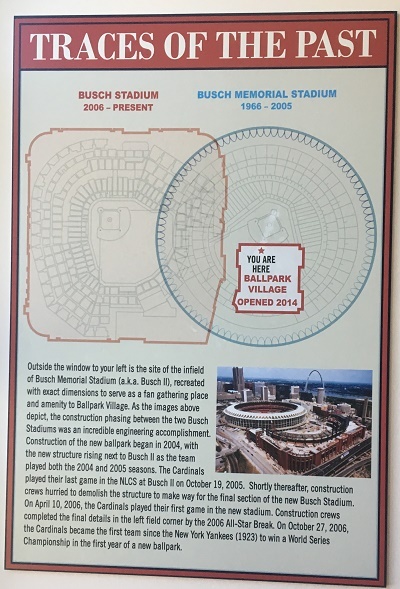 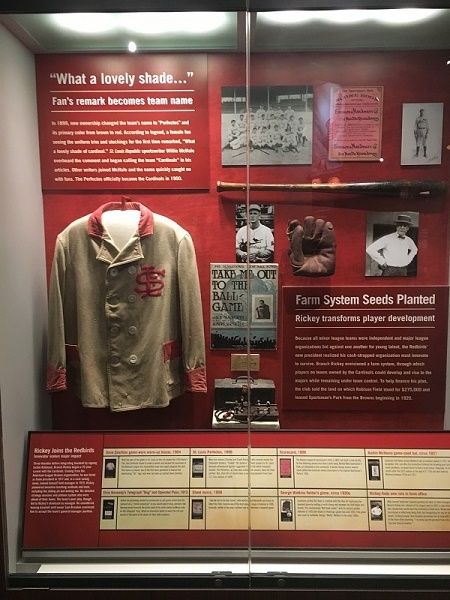 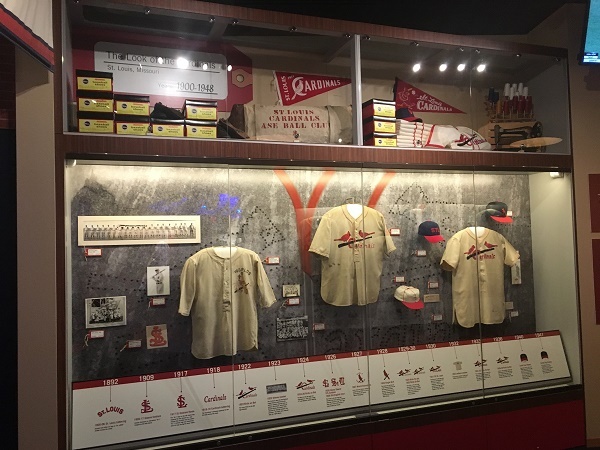 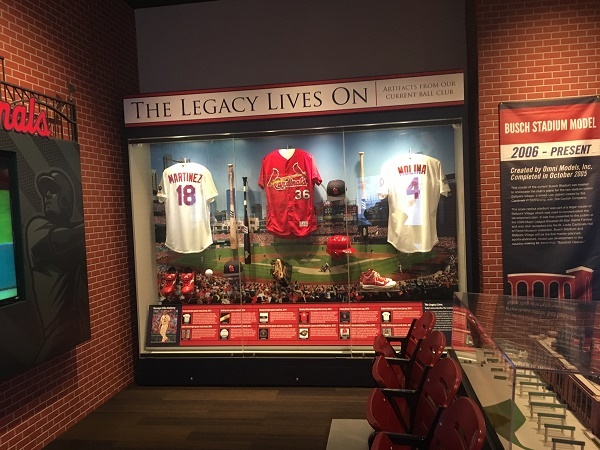 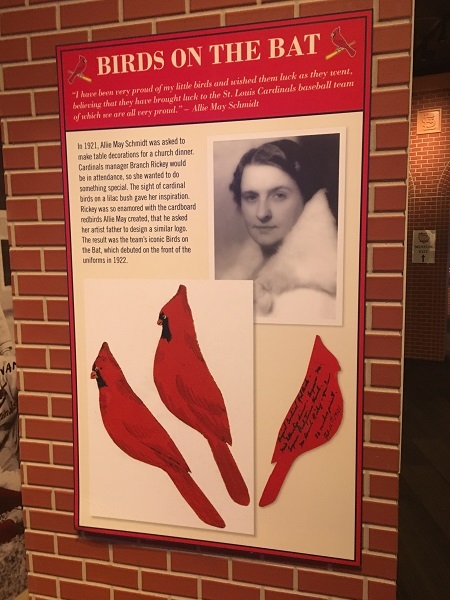 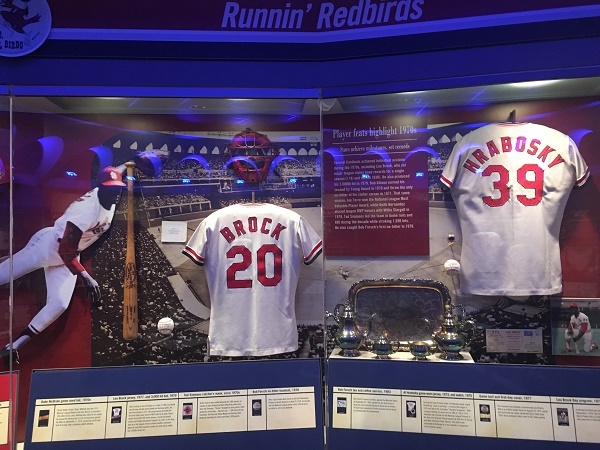 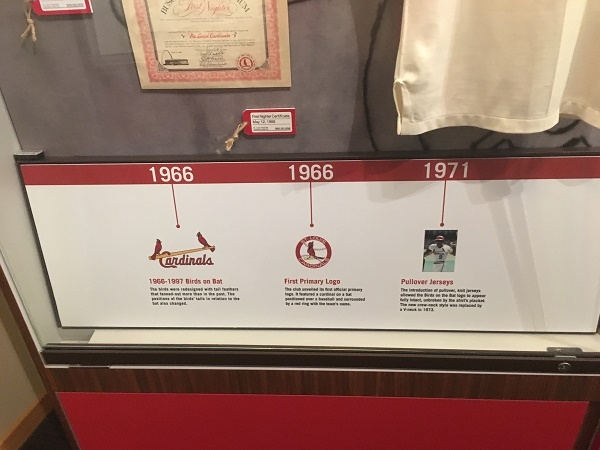 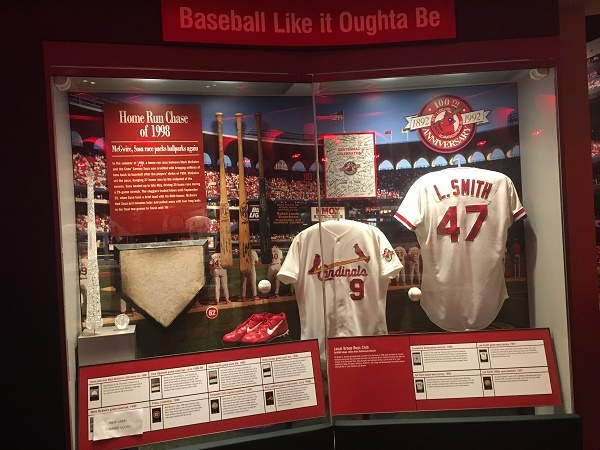 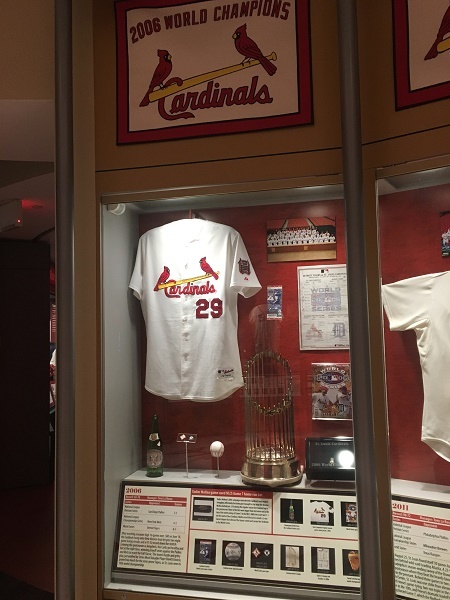 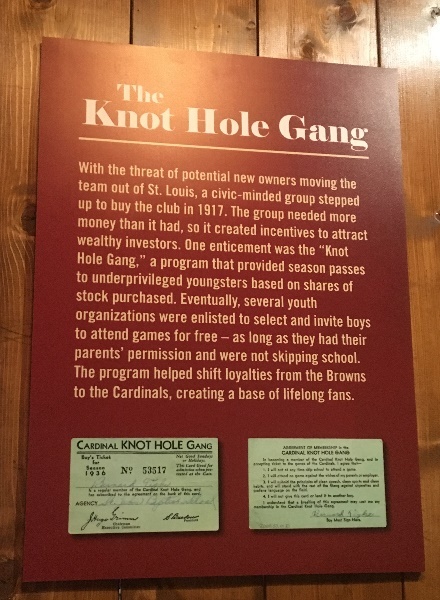 While its existence dates back to the original Busch Stadium days, the current St. Louis Cardinals Hall of Fame and Museum was established in 2014, in St. Louis Ballpark Village. 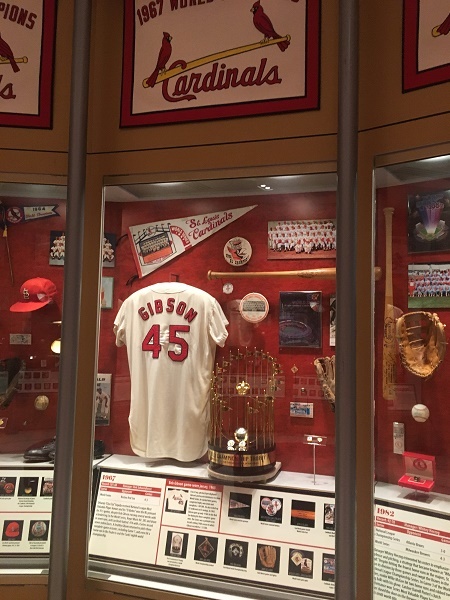 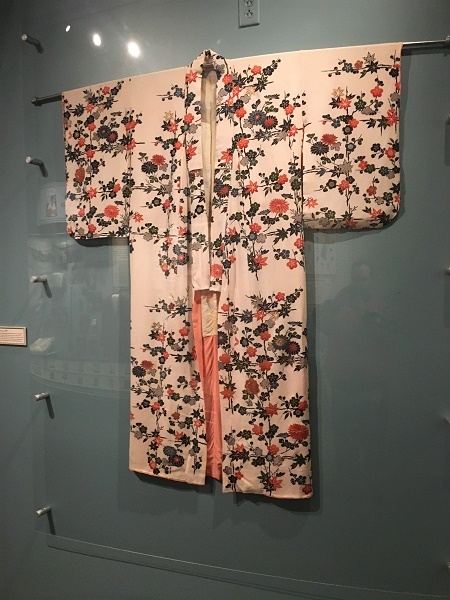 It houses 15,000 artifacts, of which only a handful are on display at any given moment. 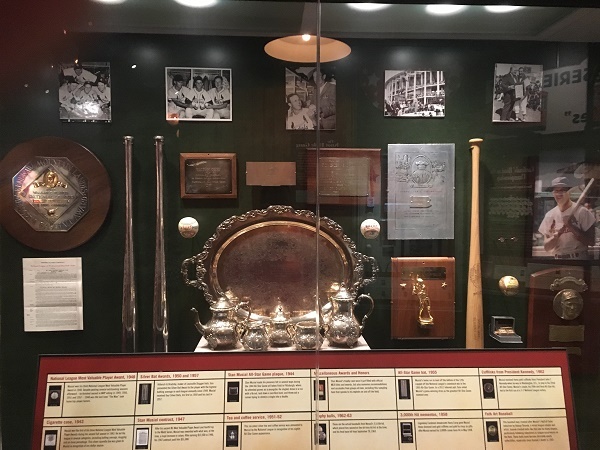 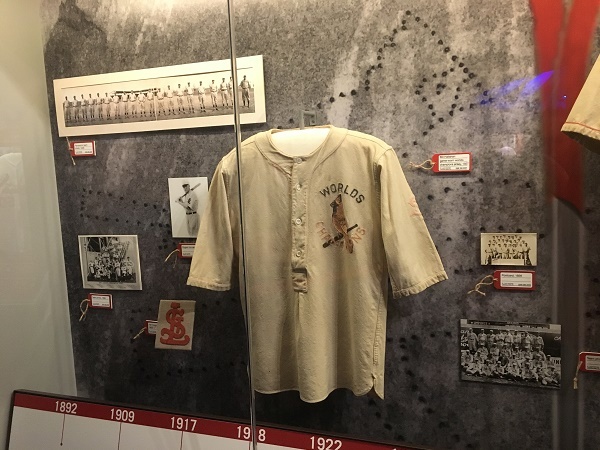 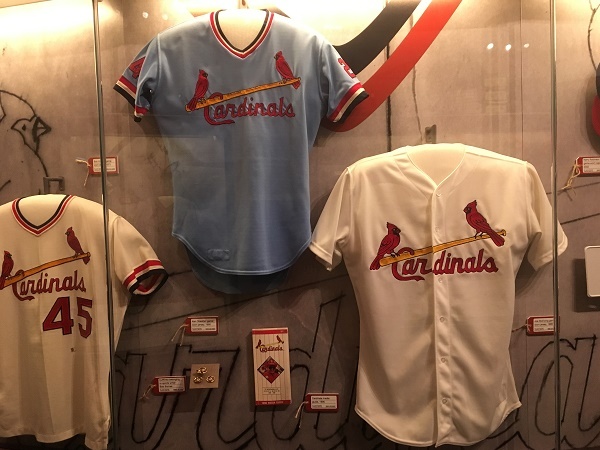 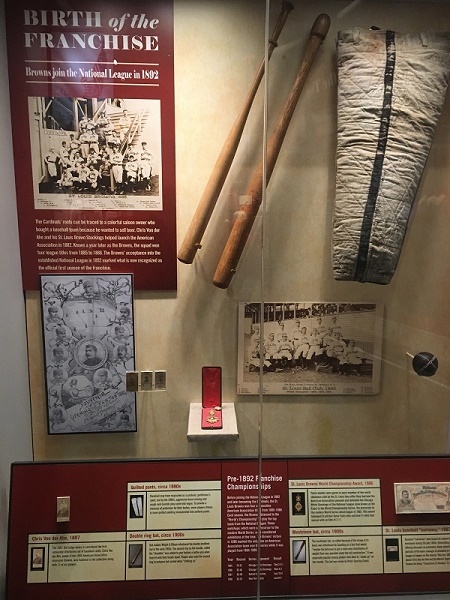 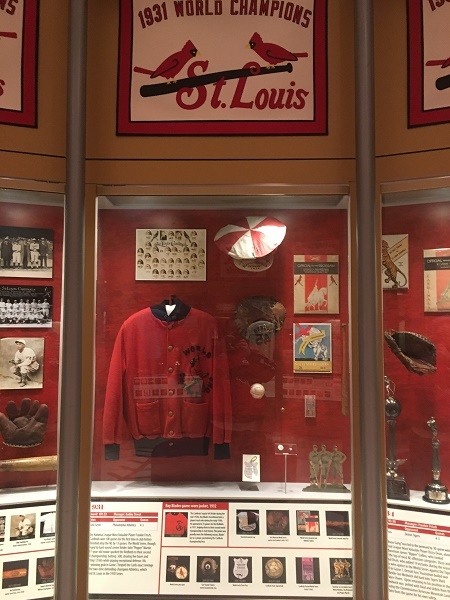 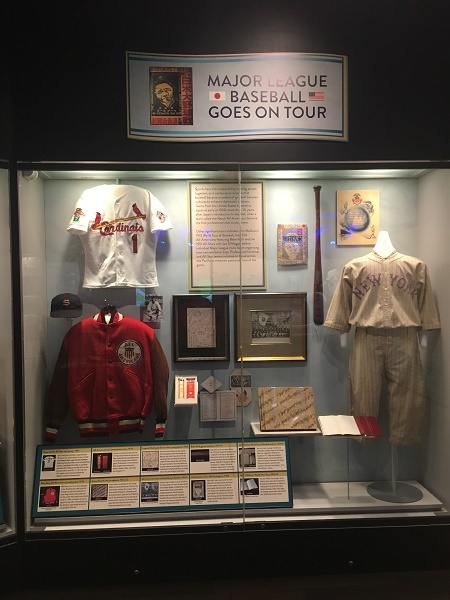 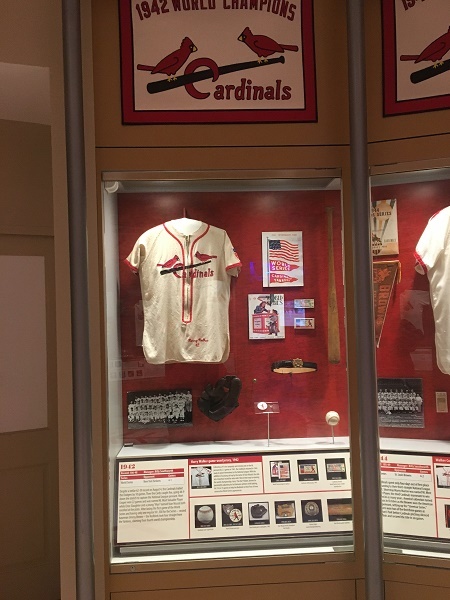 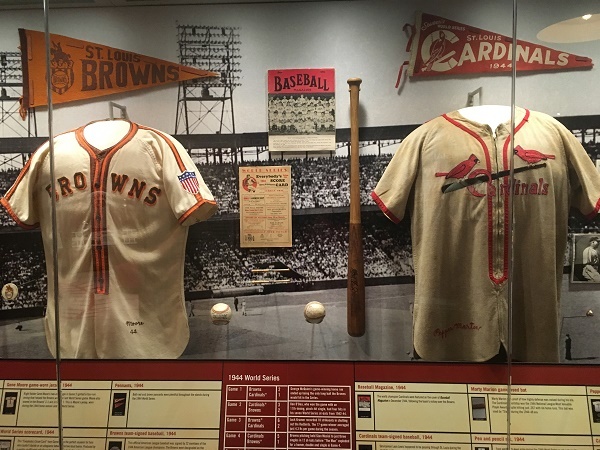 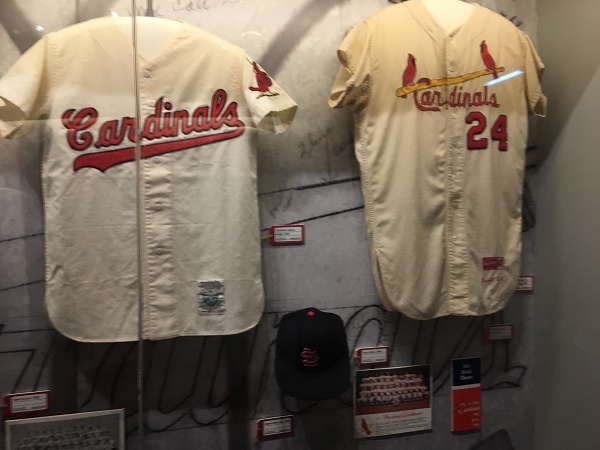 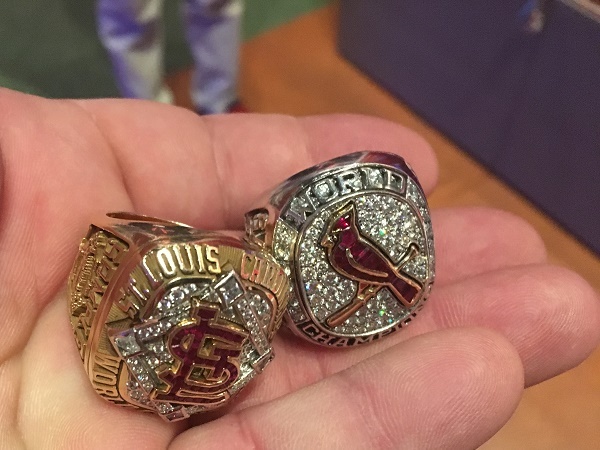 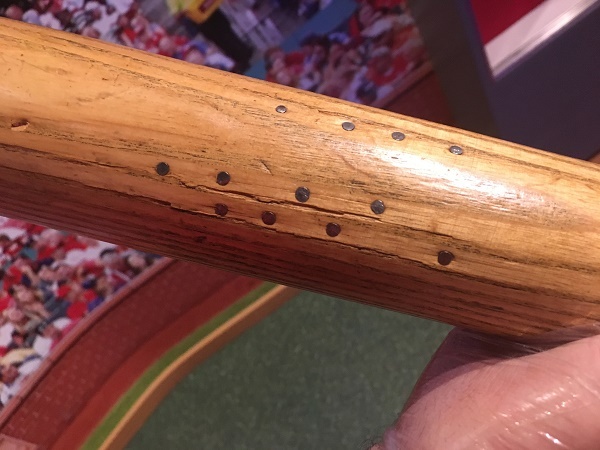 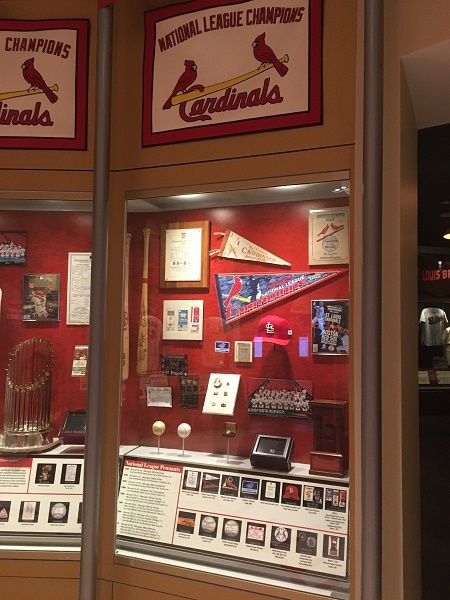 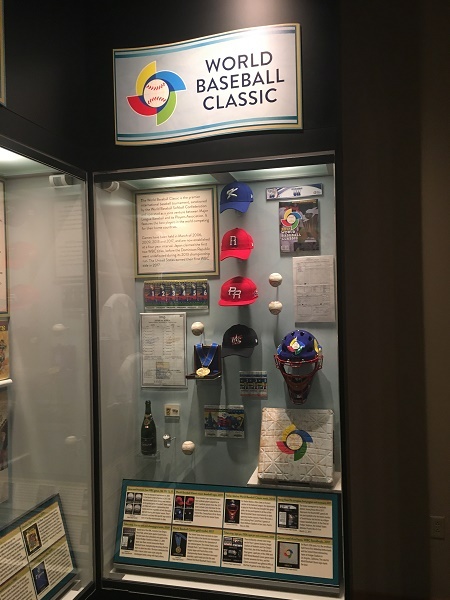 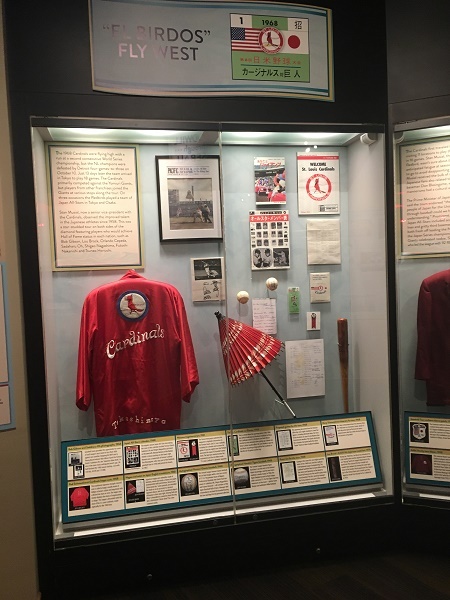 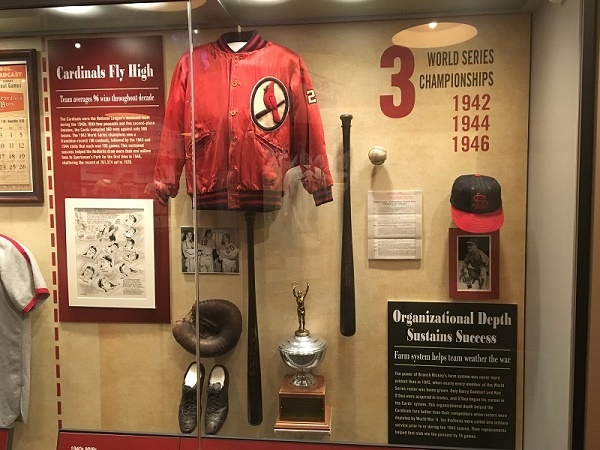 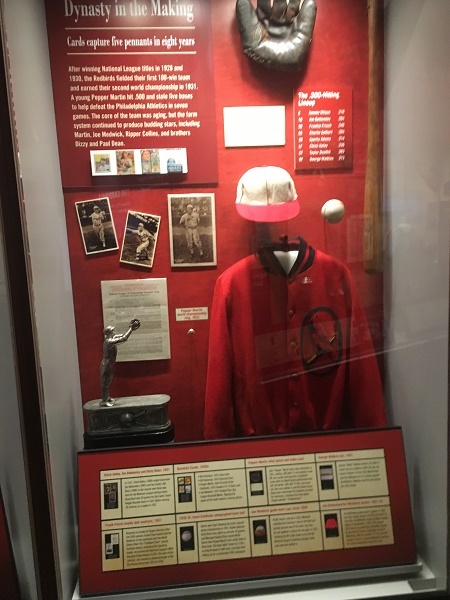 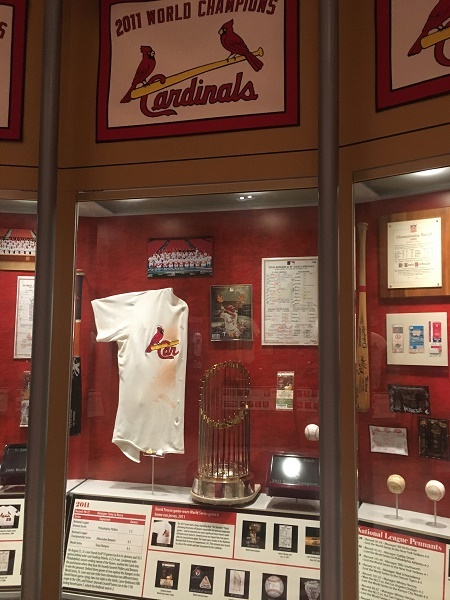 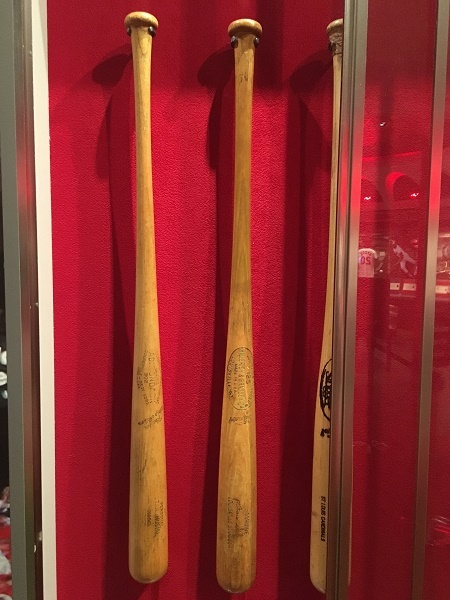 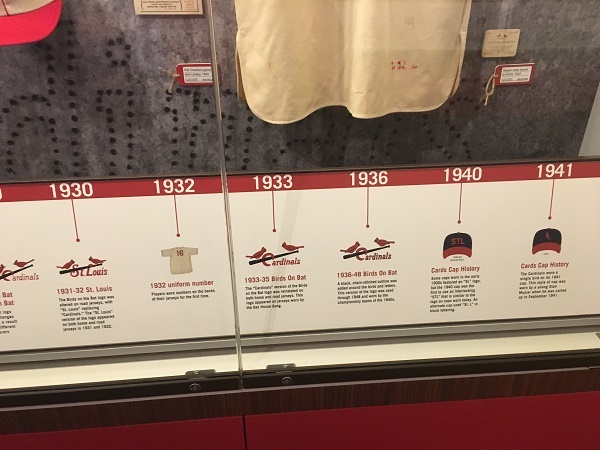 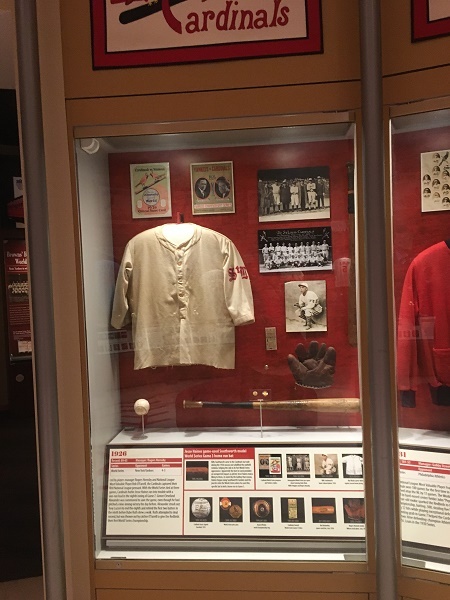 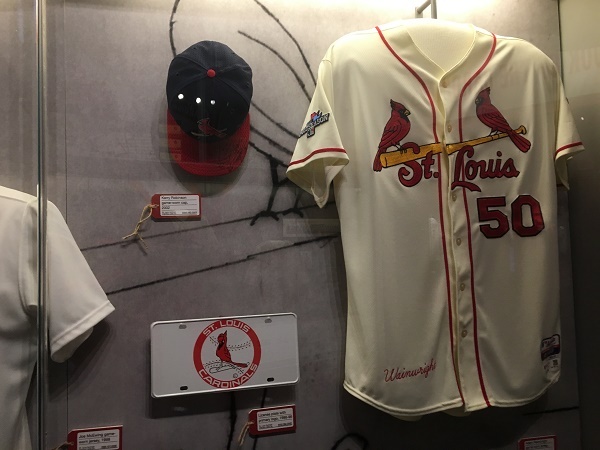 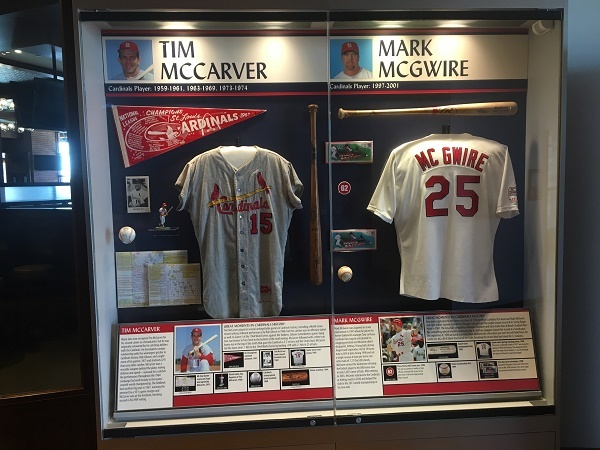 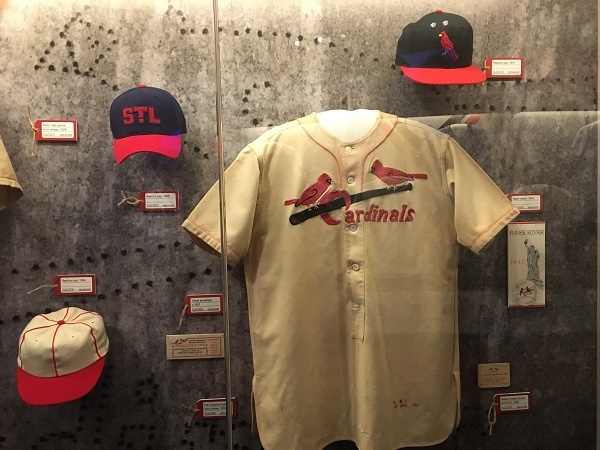 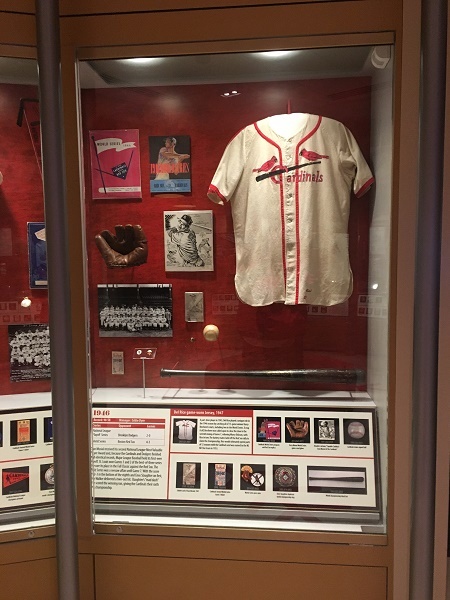 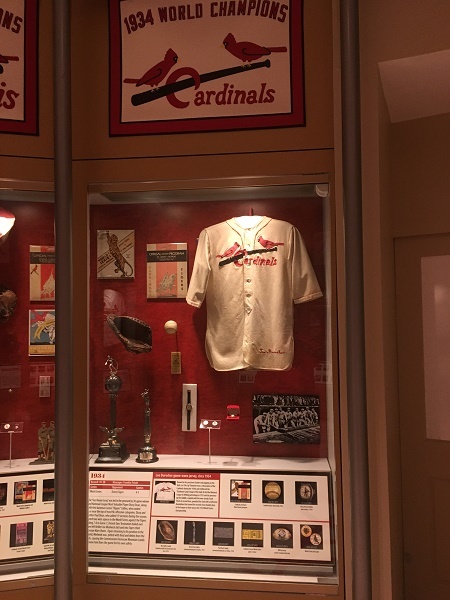 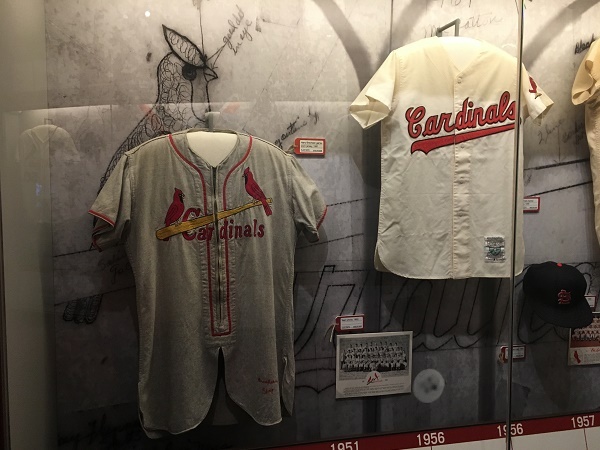 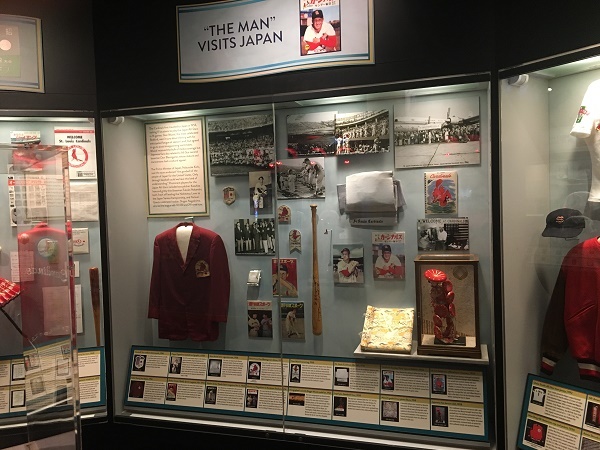 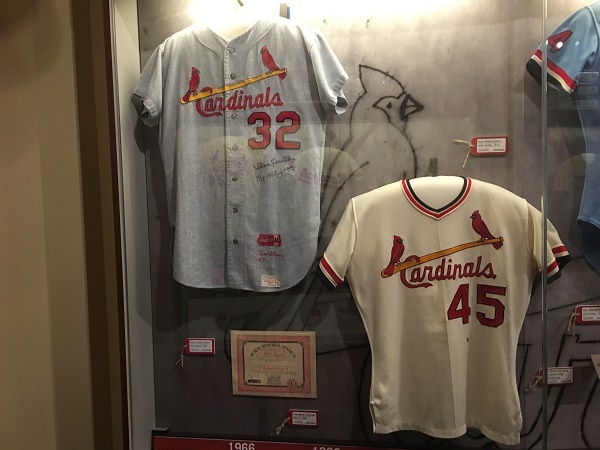 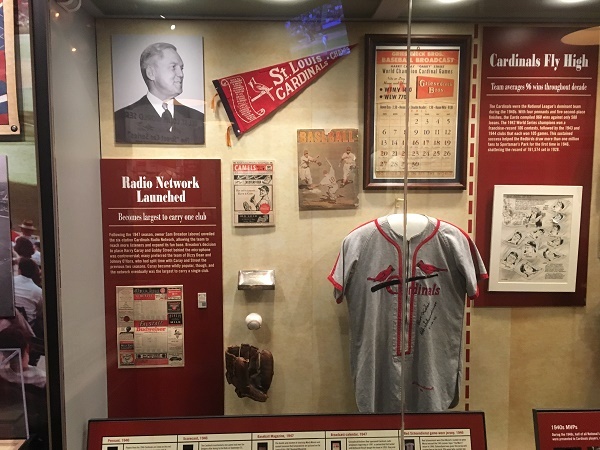 These artifacts give a look into the history and players of the St. Louis Cardinals. 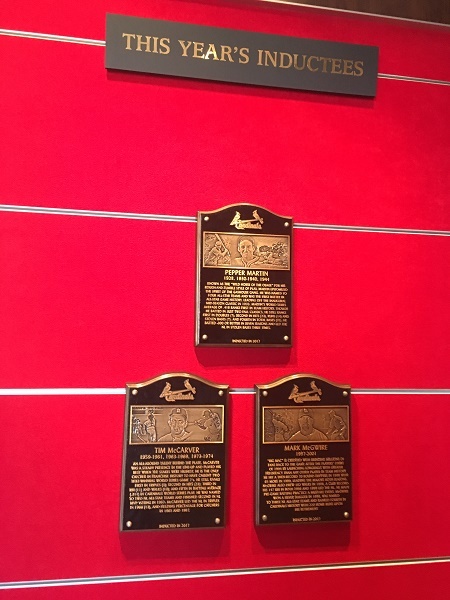 Next week we get back to auto racing, with a couple of mechanic suits.